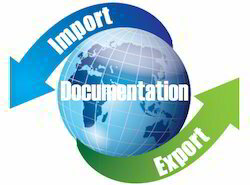 Document management has come of age as a technology in India. Voluminous growth in data, compliance and regulatory issues, the need for a faster decision-making process, requirement of a contingency plan and security issues are the key factors driving the adoption of Document management system (DMS). METMOX resources have delivered extremely elegant Document Management/ Digital Asset Management (DAM) solutions at highly demanding environments. These solutions included complex workflows, security, collaboration and audit tools. For information on how you can implement a Document Management / Digital Asset Management / Records Management solution(s). We at Cliff India Holidays offers complete travel solutions to customers. We help you in obtaining visa, passport and other travel-related documents. Our document management system helps you to track, manage and store documents and reduce paper. We make you capable of keeping a record of the various document versions created and modified by different users. We ensure your employees get access to the right form of information at the right time , from anywhere. Jordan Enterprises collects, categorizes and maintains large amounts of data available from documents in a systematic manner. Ambal Soft is a medical software manufacturing company, founded in 2010. We have a vast experience in creating medical software. Our team expertise in medical image analysis provides quality solutions to companies around the globe.